Face Reading Secrets® are revealed here. Let me educate you about Face Reading Secrets®, a physiognomy system designed to open your heart of compassion. It’s also practical and useful. Face readers, using this system, are pleasantly surprised by the accuracy. This post began as a free face reading service that I provided for nearly two years. There’s still plenty of face reading fun to enjoy, even though I’m no longer taking requests to teach face reading over the blog. So do keep reading, both the main article and all the great comments. Reading faces is such a delight! And this particular system is easy to learn. Blog-Buddies, unfortunately, I must discontinue providing this free face reading service — where I taught so much about Face Reading Secrets® through this blog. It’s a matter of time management, folks. By now I am so busy, between sessions with clients, mentoring my apprentices, publications, and doing blog posts and blog moderation. Something has to give. And, for now, that something is going to have to be this face reading service. But you can still learn. From this post… and the many comments from you Blog-Buddies. Also from my books and workshops! Which Books Have I Published on Face Reading Secrets®? All the following physiognomy books are great resources for learning Face Reading Secrets®, my unique system for reading character and more from the physical face. One was “I Can Read Your Face,” as published by Bantam-Doubleday-Dell. Other editions were published by my indie press, and later by a book producer, Ottenheimer. Next I published “The Power of Face Reading,” it became a selection of One Spirit Book Club (a division of The Book of the Month Club). Authorized foreign editions have been published in many countries: China, India, Iraq, Lebanon (Arabic rights worldwide), Lithuania, Russia, Slovenia, Spain, Switzerland, The Czech Republic. Amazing or not, that includes a book I worked on for nine years: “Wrinkles Are God’s Makeup: How You Can Find Meaning in Your Evolving Face.” Mostly out of print, a very small number of copies are held in reserve by the publisher. I make them available to serious students of Face Reading Secrets®. Incidentally, both of these are sold abroad in authorized editions as well. About the Free Face Reading Service Available Here. ZELDA inspired it when she sent a superb link to the photograph of a man with a very unusual smile. Now let’s dedicate today’s post to helping all you face readers to sharpen your skills. Let’s share great visual examples of one item of face data at a time . And then name the characteristic being read. Yes, I’m daring to offer yet one more free educational resource at the blog, this one to help all you Blog-Buddies who share (even a teensy bit of my huge) passion for face reading. Please spread the word about it, wherever you find folks are curious about face reading. I don’t think you’ll find a comparable resource, free or not, anywhere else on the Internet or Blogosphere. ZELDA has set a fabulous example by sharing a one-click photo link and naming the rare face data. In this case, the Zesty Smile Style. Want to sharpen your skills as at face reading? This post is an ongoing opportunity for you to share photos that you think are really good examples of face data. Name the one particular attribute that you think this photograph illustrates. In my system of Face Reading, you learn to see and name many different items of face reading data. If possible use a name that comes from Face Reading Secrets®. Definitely name or describe that particular attribute. Send a one-click photo, please. Choose a picture that shows a person’s face clearly. This must be a public photograph, as in a newspaper (not a tabloid) or from a website. Facebook photos are off limits, because there are — Phew! — still some notions of privacy there. Fear not, face reader. You can find loads of images of public figures, for instance by doing a search with Google, where you click the IMAGES service, then type in the name of a public figure you are curious about. Thus you can add to our group conversation where we will rise above boring, or sometimes hurtful, stereotypes about how faces look. As always, I will monitor blog comments. The only comments allowed for this blog’s free educational service for face readers… must be free of offensive language. Don’t go there. What if you don’t have a name for “Large cheeks that are wider under the cheekbones”? Just use a descriptive name, as I just did. No prob! What makes this a free EDUCATIONAL service about face reading? Also say if it is a VERY good example. That matters. In my system of physiognomy, and most others, VERY = VERY. If the physical example is a very clear, strong example of a particular facial characteristic physically, the significance in terms of character will be a big deal. So notice if I mention VERY or not. Could be a big part of your educational process, helping some of your beginner face readers to become intermediate or even advanced in your skill level. If possible, I will give you a referral to specific pages that provide interpretation. This could come from one of my books now in print about face reading, “The NEW Power of Face Reading” or “Read People Deeper” or both (if that face data is described in both). Makes it really easy for you to look up the significance! If there isn’t an interpretation of the face reading data where I can refer you, I will (probably) interpret the data for you, right at this post. I say “probably” because I do reserve the right to not go into detail about a characteristic that seems uninteresting to me as a physiognomist. It is so worthwhile, developing the power of face reading. Face reading can deliver. All your life, you have heard that “Eyes are the windows to the soul.” To a face reader, every feature on the human face contains multiple windows to the soul. Multiply your perceptiveness many-fold. That is the promise of face reading. Not all physiognomy systems aim to deliver on that potential, or even consider it important. However, the system of Face Reading Secrets® does deliver. By learning how to see facial characteristics accurately, you can really step up your success at reading faces. Blog-Buddies, here’s what has me really excited about ZELDA’s comment and this new free face reading service. What have I learned from teaching Face Reading Secrets®? For many physiognomy enthusiasts, the only tricky part of face reading is seeing the data correctly. That’s where I’m helping you here. Let’s have fun with this. Google Images is a great place to start searching for photos. Thanks for the inspiration, ZELDA. Here is comedian Pete Holmes with a mouth pucker on the left. Aw. He also has suffering lines, a fairly prominent one on the left. And it looks like he has innovation patches in his eyebrows. 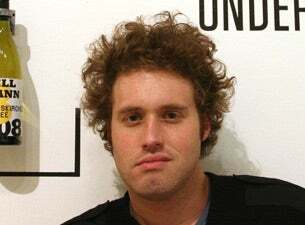 Here is comedian TJ Miller, with the left side of his mouth WAY higher than the right side of his mouth. WOAH!! I think that’s a very. Left side of mouth still higher. And left side of smile deeper. He shows more gums on the left side as well. And I think he’s got some pretty prominent canines. Looking at the picture again – I think the whole left side of his face is higher. Nostril, cheek, eye, eyebrow. ISABELLA, thanks for that Comment 100. It is a great thing, having the combination of a Mark of Devotion and humility. What is the meaning of this vertical line on the forehead, moving toward the center of the forehead? ISABELLA, excellent catch in your Comment 101. You flagged the Mouth Pucker on Pete Holmes. Actually, I would say he has one on the right side and a VERY version of it on the left side. 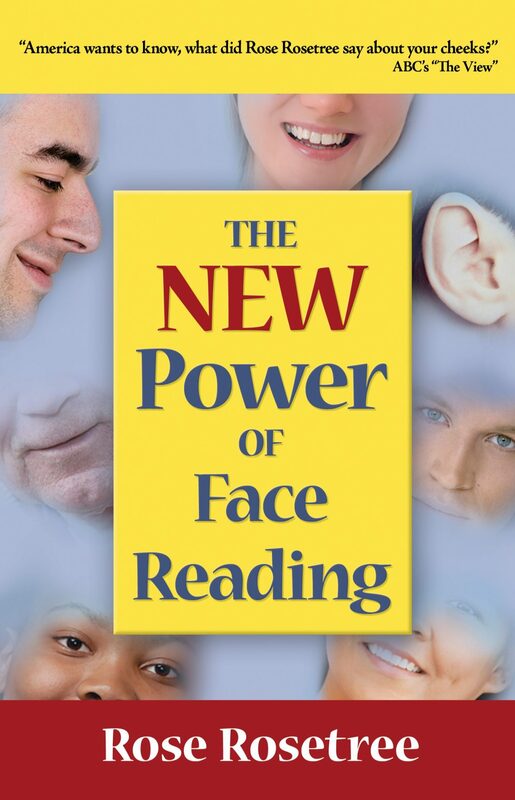 You can learn about Mouth Puckers from The NEW Power of Face Reading, Pages 203-204. I applaud your noticing that it is more a VERY on the left side. You are getting really good at seeing the face data, ISABELLA. Suffering lines are not discussed in either of my face reading books now in print. Although researching references in response to your comment, ISABELLA, I am reminded that Read People Deeper contains loads of information about physical face data not covered in any of my other books. One of many ways to use that how-to, Blog-Buddies, is simply as a face reading text. Read that shortish section near the front of the book about keys to accurate face reading. If you are fortunate enough to have Wrinkles Are God’s Makeup, you can read a great deal about Suffering Lines and other ways that faces change as a result of suffering that are NOT wrinkles or lines. Bottom line, Suffering Lines result from taking on the pain of others. That’s the challenge, and there’s nothing “potential” about it. Which gift of the soul goes with that face data? Compassion. Incidentally, a small number of copies remain for this book. The only way to get them is to take my correspondence course in face reading or to take the annual Face Reading Workshop, to be offered September 20-21, 2014. About the Innovation Patches, ISABELLA, I cannot tell well enough from this photograph. You’re definitely seeing something, but it could be remnants of makeup. In a case like this it is preferable to find additional photographs. As for your comments about TJ Miller, I am so intrigued, ISABELLA. He goes on my list of face readings to do at this blog in the future. Well done, blossoming face reader ISABELLA! Hooray, ISABELLA and other Blog-Buddies. My first face reading at the blog in a while is done, done, done. 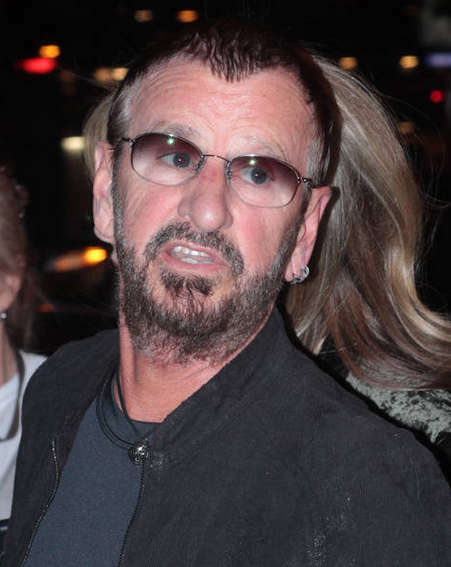 I’m watching the Grammy Awards and as Ringo Starr was performing, I couldn’t help but stare at his ears. They strike me as very long. Do they seem like a “very” to you, Rose? Still watching the Grammy Awards and this time it’s something about Bruno Mars (originally Peter Gene Hernandez – that would be an interesting name change reading) that captures my attention. Rose, do his eyes seem far apart to you? When I tried measuring the distance, it seems that the distance between his eyes is the same as the width of each eye. Thanks so much for these comments, ZELDA. I’ll get to them as time permits. No worries, Rose. I know you are really busy. I just love nabbing these face reading features that leap out at me. I thoroughly enjoyed the Gabby Giffords reading. my face reading of folksinger Pete Seeger, who recently made his transition out of one really powerful, productive incarnation. What an interesting face Rep. Henry Waxman has! Marianne Williamson is running for this Congressional seat and would have been challenging him for it had he not retired. Waxman’s short nose strikes me as a VERY; would you agree, Rose? I was also struck by his long ears and his eyebrows. Great catch in your Comment 112, ZELDA. Those VERY, VERY long ears may be a real key to understanding that Beatle of Mystery. The corresponding talent for Ringo Starr is exceptional subconscious paying attention to people and things, taking in way more information than he does consciously. Maybe needing to hang out for a while, under the sea. Perhaps in an octopus’ garden? In the shade. 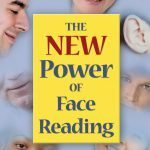 I just finished the New Power of Face Reading. Looking at a picture of Hugh Jackman, I believe I have found a good example of very small earlobes. Rose, would you call these special delivery dimples on Benedict Cumberbatch? I remember from your face reading of Gustavo Dudamel, these chinstrap like powerline dimples. Also trendsetter lip shape, maybe very? (Easier to see in second and third photo). aaand I am very not sure if I identify this correctly but ..muscular lip texture too..? Responding to your Comment 117, ZELDA, I agree that Waxman has a VERY Short Nose — related to that talent for hard work, diligent work. The shortness of his nose is accentuated by the VERY Large Nose Tip. And the VERY Narrow, Unpadded Nose Length above that Tip. One extreme gift after another!!!! This is indicative of huge talent and strong individuality. KRISTA, thank you for your Comment 119. Very insightful observation. Those VERY Small Earlobes really couldn’t be smaller, could they. This suggests such a predisposition to notice physical, human or animal data in terms that are more symbolic or metaphysical. Might you, or other Blog-Buddies, comment on how this gift of personal style might inform his performances as “Wolverine”? After all, that role is about as animal/grounded in physical life as role could get, right? And have any of you Blog-Buddies seen either of the first two Wolverine movies? In a series of aura reading articles, I have begun to profile the first American to ever win the gold medal at the Olympics for ice dancing. Although it isn’t a face reading profile, Blog-Buddy OPAL perceptively noticed one huge VERY on the face of brilliant skater Meryl Davis. It’s a right-angled nose, one that leads toward the right side of her face. It would be great if one of you’all did a guest post face reading on Meryl Davis. Meanwhile, the significance of a Right-Angled Nose is caring a great deal about fame, public success. People are not generally born with this one. Noses begin in life down the center of the face. Instead, nose angling develops because a person evolves in a certain way, just like innumerable other changes to a face that develop over time, out-picturing the use of free will. I admire Meryl Davis enormously, including the drive that has caused her nose to develop this way. She is specialized. Rose, I noticed the most interesting ears on a student in a class I work in. I didn’t feel comfortable speaking to him directly about his ears or photographing them. This is what I saw. The top part of his ears are distinctly angled out. The middle part of his ears are flat against his head. The earlobes are rather large and the angle seems to move forward and out. I’ve never seen ears like this! They look like what I would imagine it would look like if someone were holding down the middle part of very out-angled ears. I would very much doubt that this young man would have had his ears pinned down surgically. I’d understand if you didn’t want to comment on a face-reading feature without a photo. I am curious, though, about what it means that just the upper par of the ears angle out. ZELDA, it is wonderful that you are looking at people everywhere as a face reader. Sure, anything you like can be discussed in a face reading mentoring session, but this blog and free service go by the rules in the main post. Could these ears be similar to what Zelda describes in 126? 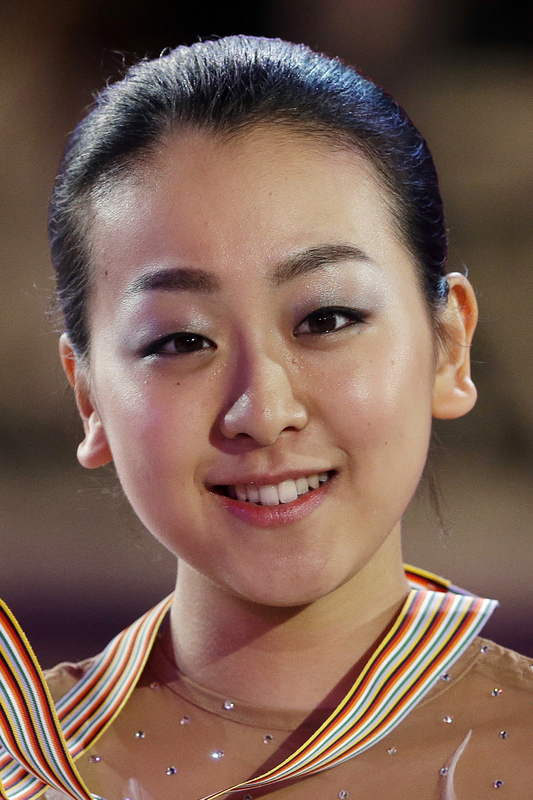 This is Mao Asada, figure skater. It isn’t face reading but this is so interesting. I started to watch the video of his announcement and the first thing I noticed were those amazing out-angled ears of his! Silver is new to his job and has made the bold move to ban Sterling for life, along with choosing to use the harshest sanctions he can, including forcing Sterling to sell the team by calling a vote of all the other NBA team owners. Sure fits with those ears, yes, Rose? In the system of Face Reading Secrets(R), out-angled ears are about independent action, making one’s own rules. You can learn more about this in The NEW Power of Face Reading and also Read People Deeper. I came across a photo of Daniel Radcliffe and was struck by 2 facial features. Is that a zesty smile I see, Rose? This photo isn’t quite as good as the one I saw, which was near the bottom of an article about popular names, so I didn’t want to include it with the scrolling needed to find it. What struck me was the out-angled ears, but just at the top. 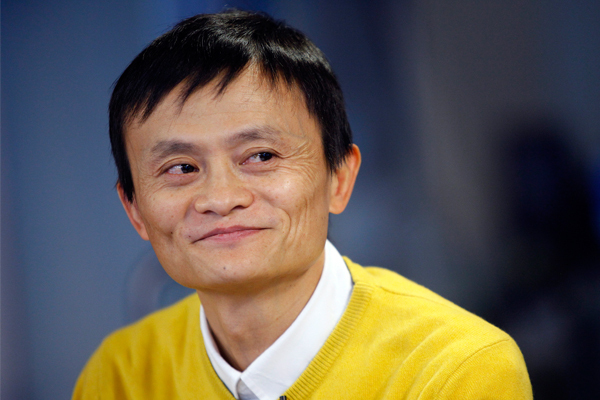 I read an article today about Jack Ma, the Chinese entrepreneur who owns Alababa, the Chinese e-commerce site. I was struck by his wide jaws. This guy is definitely not the nicest person to grace our face-reading thread, having made the news for kidnapping a teen and holding her for 10 years. I have never seen ears like his in my life! To my novice face reader’s eye, his head looks like it’s basically level and looking straight into the camera, but I am struck by how much higher up on his head his left ear is than his right. I’ve never seen that before. Unless his entire head is tilted and giving the illusion that one ear is so much higher than the other. Also, I see quite a difference between the 2 sides of his face. Reminds me of the photo you used of JFK to teach about asymmetry, Rose. His version is holding a bit back, some ambivalence about the full zesty, I’d say. Otherwise, ZELDA, this photo you supplied is not an appropriate one for showing Ear Angles. For this, insist upon a straight-on camera angle. A 3/4 view really distorts the face data. Learning to see faces clearly is a big part of studying physiognomy. Thanks for all your recent contributions to this blog and also to this particular post. I aim to comment soon on your Comments 133-135. Again, thanks, ZELDA. Reading faces really is big fun. LARA, finally — yes finally — I am responding to your Comment #120. Blog-Buddies all, if you don’t have a response to a question here or elsewhere at the blog after a week, add a follow-up comment. Sometimes I just get distracted. I never mean to NOT respond to a comment here (or elsewhere at the blog). 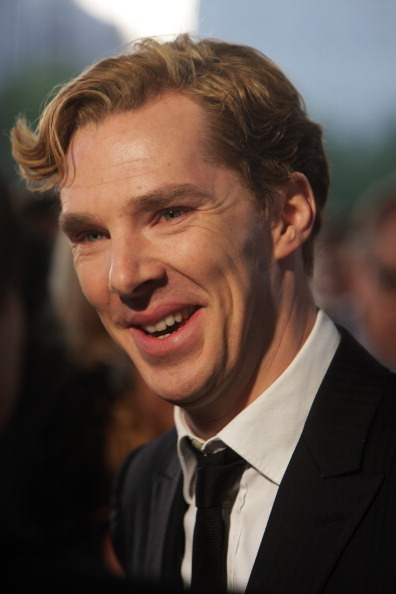 So, with that cutie Benedict Cumberbatch, how great you brought him up. Recently I saw his Star Trek movie and wow, he stole that one, far as I’m concerned. Regarding your first photo link, here is some tutoring about doing physiognomy. A cameral angle like that one? Never, never, never. Not a good way to see dimples or much else. I know he’s probably not in your living room, agreeably posing for any pix you request, but keep searching until you find a front-angle, up-and-down-level photograph. Otherwise, face reading becomes both hard and inaccurate. Spare yourself this dreaded combo, or either of these problems, actually. Now I’ll check out your second photo link. Now, LARA, the second and third photos were much better for face reading. Hooray! 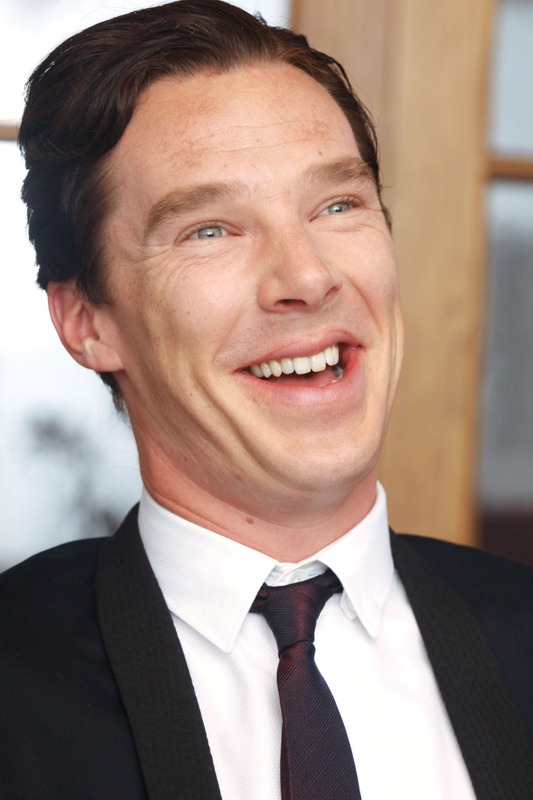 From your link #2 at Comment 120, Cumberbatch has two or three Powerline Dimples on his left cheek. The other side of his face? Who knows? You can learn about Powerline Dimples in The NEW Power of Face Reading, pages 134 and 136. Regarding lip texture? They’re full lips. Somewhat with puffy texture. Maybe 10% worth muscular texture. Me? I wouldn’t comment on either aspect of texture because it’s not clearly one or the other. The full lips? Sure, read that as an item of face reading data. You can learn more about Full Lips in The NEW Power of Face Reading, 186-187 and 202-203. Fun! And then from your third photo, LARA, definitely a GREAT, SUPERB, VERY example of Trendsetter Lips. This face data, sometimes called “Cupid’s Bows,” relates to a talent for being able to communicate on behalf of a group of people for whom one has an affinity. It’s a form of leadership as a communicator. Thank you, LARA for your fine comment! Playing catch-up with some of these wonderful face reading questions, phew! Regarding Comments 126 and 128, please do not open the door for “The most interesting ears,” where there could be 10 different characteristics. Please, have mercy. Even along with your enthusiasm. If you would like me to comment, name one facial characteristic. Supply a photo link that shows that. Here’s something I have noticed, coaching face readers. The impulse is to find the most unusual, strange, extreme characteristics and request that they be interpreted. This is, actually, not a helpful way to develop as a face reader. Take a reference book like “The NEW Power of Face Reading” or “Read People Deeper” and go through one chapter at a time. Find a public figure with an example of ONE of those characteristics. Then propose that person, naming that characteristic, and supplying a one-click photo. This will develop your eye and your accuracy at naming face data correctly. In the long run, what will serve you best with physiognomy is seeing interesting — but not majorly unusual — face data. After my next bunch o’ session time, I will move into the rest of our unanswered comments here at this thread, Blog-Buddies. On to your Comment #133, ZELDA, about Jack Ma, the Chinese entrepreneur who owns Alababa, the Chinese e-commerce site. I was struck by his wide jaws. You are so right, ZELDA, about those VERY Wide Jaws. You can read about the meaning of this in detail in “The NEW Power of Face Reading,” pages 205-208. You’re exactly correct that he has High Ear Position, and it is a VERY example on his left ear versus simply regular High Ear Position with his right ear. So the significance is greater in his personal life than in his career. For juicy details about High Ear Position, I would recommend “The NEW Power of Face Reading,” pages 111-114. ZELDA, “novice” or not, you have supplied one of the best examples I have ever seen of VERY High Ear Position. Well done! Rose, you’ve mentioned that trait is linked to a sense of invincibility, which totally makes sense in the case of this World Cup player. Neymar also has long lower canine teeth (are they called “canine” in this position? )on both the left and right sides of his mouth. I’m curious as to what is the significance of long lower canine teeth. Does it relate to one’s sense of winning as well? SYLVIA, so glad you’re watching faces for face data. Thanks for your latest comment in this series. FYI, I don’t refer to face data as “Traits” in the system of Face Reading Secrets(R). Why not? Because “Trait” evokes notions of heredity among fruit flies. Face data evolves for humans. About 90% of your facial characteristics — the data read by physiognomists — can change over time. Just depends on how an individual uses free will. Over time, the characteristics out-picture; as people evolve in particular ways, faces change accordingly. Over at your photo link to Neymar, Brazil’s star soccer players, wow! SYLVIA you have supplied a textbook-perfect sample of Ultra-Long Canine Teeth. Yes, this relates to invincibility. You can learn more details in Wrinkles Are God’s Makeup, Pages 65 and 211. Regarding the link you supplied to Neymar’s video, I didn’t get past the advertising and then go for searching 50 seconds in. Sorry. For this face reading thread to be manageable, I really need a quick, one-click link to a photo that shows the face data. I’m sure you found the very best link you could. We need more sports photographers and sports reporters who are into face reading! Assuming that your observation is correct, SYLVIA, what is the meaning of an Ultra-Long Lower Canine Tooth? It is about a different kind of invincibility, one forged in rage and a need to fight in order to survive. While an Ultra-Long Upper Canine Tooth reveals a debonair sort of invincibility. Sometimes it can be related to charm, actually. So I do invite all you face readers to saunter over to our Charm Wiki in order to explore that aspect as well. Ask there about people whose faces have characteristics related to charm, which you can read about in the “Charm” chapter in Read People Deeper: Body Language + Face Reading + Auras. That’s so fascinating about the differences in meaning between the lower and upper long canine teeth! Yes, face data is a better term than facial traits. It’s unfortunate I really couldn’t find a good shot of Neymar’s lower teeth. FYI regarding the video, once the video starts, you don’t have to actually watch it until :50. You can just click on the time bar at the bottom of the video and move it to the point you want to see. Aw, SYLVIA, I’m glad you are a fellow physiognomy freak. About my necessary one-click, instant view rule, you know that doing this isn’t about how much I care about you. Or caring about other Blog-Buddies. Here it is, an official national holiday. I have a party to go to. Yet here I am, going through “The Empowered Empath” one more time, working with my typesetting pro. Then it’s on to preparing for my Cut Cords of Attachment Level 2 Workshop. Or even saying, “No, ROSE, you are not going to do that today. Accept reality.” I was so much looking forward to doing a particular Skilled Empath Merge of somebody wonderful in the news. Figured I could squeeze that in on my “Day off.” Laughing. Anyway, SYLVIA, there’s your partial picture to explain my need for rules about, “Have mercy, just one click for me to see it” requirement at this part of the blog. P.S. Of course, I only work all these hours because I love it. Bliss, mostly always! And I do take time off, so don’t worry about me. It’s just a wacky lifestyle for handling the many informational downloads that move through me. Hard to do in my 20’s and 30’s, but since then I have found the balancing trick for being me. Oh Rose, I totally understand your reasoning for having a “one click” rule! It’s more than reasonable, especially given that you are offering this free face reading service in your spare time. I just mentioned how the time bar works on a video in case you didn’t know that you can get to a specific second of a video the way you can turn to a specific page in a book. It’s just a different medium. Thanks, SYLVIA. Yes, this is fascinating about using a time bar to get to a specific second of a video. And then you can join me in the exploration of even more fascinating characteristics. related to being beautiful as a performer. More physiognomy fun awaits you with a two-part face reading of mathematician Maryam Mirzakhani. Face reading detectives — check out the fascinating changes to the face of Renee Zellweger. According to this article, 20 percent of Seoul women age 19 to 49 have done cosmetic surgery. I can hardly believe the transformation! I have no idea what to think. They look like manga characters, not human beings. Three outrageous, and rare, bits of face reading data in a row. And that’s just getting started! Got into a discussion about the foxes bred for fur in Russia and their discoveries about that in the ’50’s. It occurred to me it supports your face reading work. Rose, I have some questions about eyelid face data. To my eye, both of the following women, former model Helen Selby and Congresswoman Doris Matsui, have a Single Eyelid Fold with Small to Moderate Eyelid Fullness. But both of them also have developed a pronounced eyelid crease, but it doesn’t look like Large Eyelid Fullness to me. Can you help clarify? 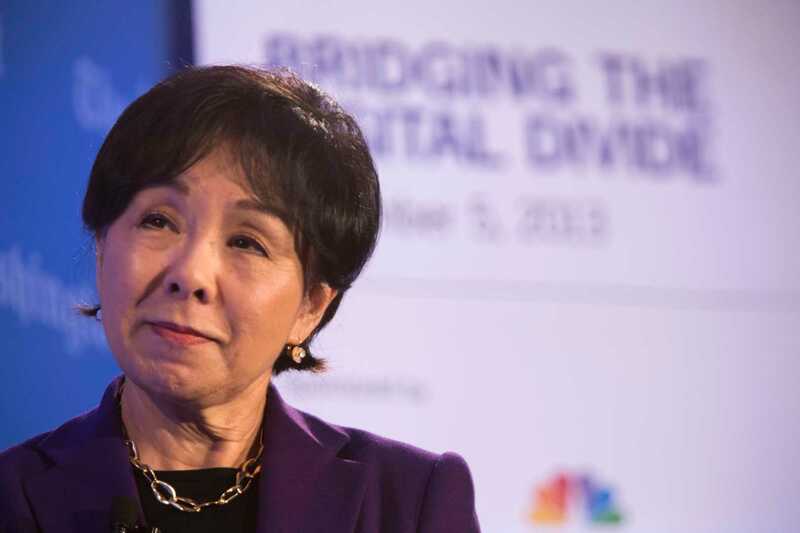 In the case of Congresswoman Matsui, it looks like she’s got small eyelid fullness in the form of a crease quite close to her lash line. This second crease is much higher up, positioned underneath her brow bone. SYLVIA, thank you for your latest comment. It contains quite a bit of request for information after the place where I went SNIP. Here I am, nearly 8:30 p.m., finishing off blog hosting before I have dinner and stop work for the day. Even I can appreciate, this is ridiculous. So I will respond briefly to this one last question from SYLVIA before closing down this thread to requests for face reading education. This face reading thread has been maintained for nearly two years. I hope the bits of physiognomy education have been helpful to you. At the present time I will keep up with the other free service at this blog, the Enlightenment Life List. Some day soon I will respond to that great question from SYLVIA. I definitely have appreciated you providing this service. My last comment arose from seeing someone appear in the news, noting interesting face data, and then running to look it up in The New Power of Face Reading. My curiosity was definitely piqued. Sorry if you felt my original question was too long. I didn’t mean to offend or be overbearing — as I looked at the photos, more details came to the fore. I’m mostly interested in the existence of that additional eyelid fold. Thanks for having made this forum available. I can’t believe it’s been nearly 2 years! SYLVIA, I doubt you even know how to be overbearing, and I find every one of your blog comments to be delightful. Basically, SYLVIA, Doris Matsui seems to have developed some Puffs starting over her eyes. Made all the more confusing because I suspect she had eyelid surgery to give a “Western” look with a version of eyelid crease added on. If I were reading her face I wouldn’t pay attention to these details at all. Unless a client TELLS me about cosmetic surgery, I don’t speculate as I just did here. Granted, this face reading service has been developed to help you’all develop an eye for face reading details, and you did a fine job of trying to find something new and seeking multiple examples. Still, in this particular instance, you have been looking at multiple items of face data with minute variations. Looking for more physically subtle (even arcane) items of face reading data is not the best use of a face reader’s time. Might I suggest, a more productive way to continue reading faces is to get really familiar with face data in my physiognomy books, then start to put the face data together, evaluating one piece of it and comparing that to other bits of face data. Former former model Helen Selby also has Puffs going on, SYLVIA. To finish up this last bit of face reading data at this thread, I am delighted to add a comment that just came in from one of our Blog-Buddies. Enjoy these very relevant chunks! And thanks again to you, and to all who have asked questions at this thread. Thanks, Rose, for this reminder to an old but most interesting and timely post. “You’ll see it more strongly on Brian Williams’ left eye, but both eyes have this face reading data. “In real life, you’ll see this often. “On TV land, you’ll seldom see it. Because the celeb has run, shrieking, for a face lift. Eyelid Puffs! Oooh, thank you, Rose! I would have never suspected that. 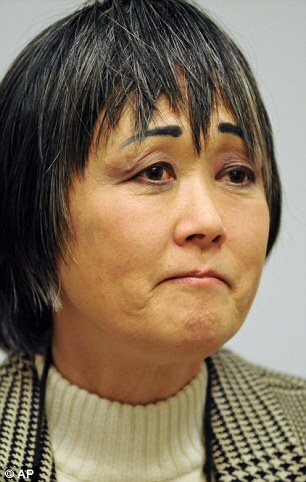 You’re right about Doris Matsui’s crease looking as if it was the result of eyelid surgery. Amongst women I know, especially those of my mother’s generation, it is quite common, so it seems kind of “normal” to me. No wonder you thought my question had so many bits and pieces! I didn’t even notice this detail. SYLVIA, you are so talented at this, and such a good sport, too. 🙂 Thanks for your input. Yet one more reason to use the system of Face Reading Secrets(R), rather than fortunetelling. Cosmetic surgery doesn’t impede face reading when the physiognomist reads the current face as a reflection of the client’s current soul expression! Yes, I will read his lips! A Diversity Face Reading Contest has been held. I’ll be awarding the three prizes soon. If you’d like to look at the superb nominations, use that link above to reach the Contest. Another bit of face reading fun around here is a series of Face Reading Party YouTubes. This blog post tells you about the first two. In the Comments Section, you’ll find a beautiful comment by “Gladys” about her minutes of YouTube fame. Maybe you’ll appreciate why I love sharing Face Reading Secrets®. Do you love your cheeks? Our Face Reading Party continues with the Face Reading Party #3 YouTube that celebrates something about ears. If you have Out Angled Ears, maybe this video will help you to fall in love with them. Face Reading Secrets® continue to flow in our Face Reading Fun YouTube #4. And this face reading article celebrates Joshua Johnson, who has just been named to one of the biggest radio audiences in National Public Radio. Meet this inspiring man through reading the secrets of his face! Third prize in our Diversity Face Reading Contest was given to Novelist Chimamanda Ngoza Adichie — and to Blog-Buddy KYLIE. Read the physiognomy profile here.